Where are FHA Compliance Inspections needed? Nick J Alati is an approved FHA Compliance inspector (N912) and a Approved 203k Consultant (S0730). We are pleased to offer our services in this area of specialty. If you are considering securing a FHA loan, you should know that all FHA loans require property appraisals, but not all require the submittal of a FHA Compliance Inspection Report (HUD-92051). 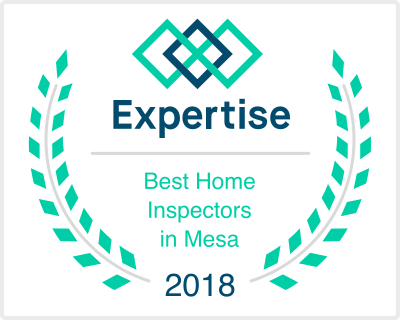 Nick J Alati is not only HUD/FHA Approved but is a Arizona State licensed Home Inspector as well as a Member of the American Society of Home Inspectors (ASHI), ASHI wrote the State Standards of practices for Home Inspectors throughout the USA and Canada. Compliance inspections are to be completed only by an approved FHA Inspector. Occasionally an underwriter will misinterpret the FHA/HUD reporting requirements and request that a Compliance Report be signed and sealed by a professional engineer. However, there is no place on the form for an engineer’s signature and seal. The Compliance Report is to be signed only by a FHA Inspector. Signed and sealed Foundation Certification (or Engineering Certification) specifying upgrades and/or repairs and a Compliance Report signed by a FHA Fee Inspector stating that the repairs or upgrades have been satisfactorily completed. We are able to provide Foundation Certifications in compliance with the HUD Permanent Foundation Guide for Manufactured Homes (PFGMH – HUD 7584), a requirement for all FHA-insured loans. Please contact us if you are in need of this service. For more information on HUD requirements and topics related to Foundation Certifications, visit https://www.foundationcerts.com/faq_fi.html. We work in conjunction with Harrison Engineering, LLC to provide these services. FHA Compliance Inspections. When the inspections are performed by an FHA Compliance Inspector, form HUD-92051 Compliance Inspection Report must be completed and submitted in the case binder. Under Construction are those properties in which the first placement of concrete or other permanent materials has begun, but construction is not yet 100% complete. Existing Construction properties that are 100% complete at the time of appraisal. “Complete” means everything is complete including the installation of buyer preferences (flooring, appliances, etc. ), utilities are on and fully functioning and all site improvements completed at the time of appraisal (Ready for Occupancy). 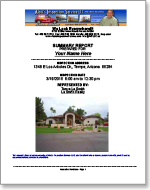 If no repair or correction conditions are made by the appraiser, the appraisal serves as the final inspection as per HUD Handbook 4145.1 Paragraph 6-3-A(3). The re-sale is an arms length transaction. The lender shall clearly identify the transaction is a re-sale to a second or subsequent purchaser in the case binder to avoid an NOR issued by the Homeownership Center for missing new construction exhibits. For manufactured home properties, the engineer preparing the foundation certification is required to make a site inspection and the property must be 100% complete at time of inspection. Foundation certifications based on proposed construction will not be acceptable. While a builder selling a newly built home is not subject to the property flipping rule, a subsequent seller would be. If you purchasing a Home and utilizing a FHA loan, you should have an experienced FHA Home Inspector. Curious what your inspection report will look like?